Imagine! doesn’t only embrace technologies that offer opportunities for greater self-reliance among the individuals we serve. We also explore the use of technologies that can make us more effective as an organization, and that will save us time and money. One example of how we have explored technology to improve our efficiency as an organization is through our use of FleetCommander. 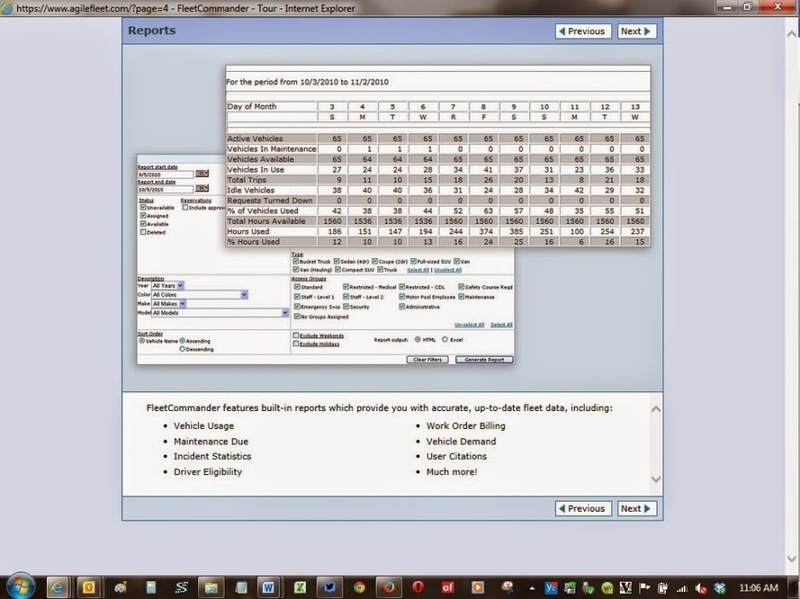 FleetCommander is a web-based fleet and motor pool software tool. Imagine! has a large fleet of vehicles, and this software has greatly improved our ability to manage that fleet. FleetCommander helps Imagine! maintain electronic preventive and repair maintenance records in one spot, which can be accessed from anywhere with an internet connection; allows Imagine! to tailor maintenance data and reports to show repair trending among like vehicles, or age of vehicle, or mileage or other desired criterion; and Imagine! can use mileage as a guide to set repair schedules at the appropriate time. This permits required work to be performed at the optimum time so warranty requirements are met. 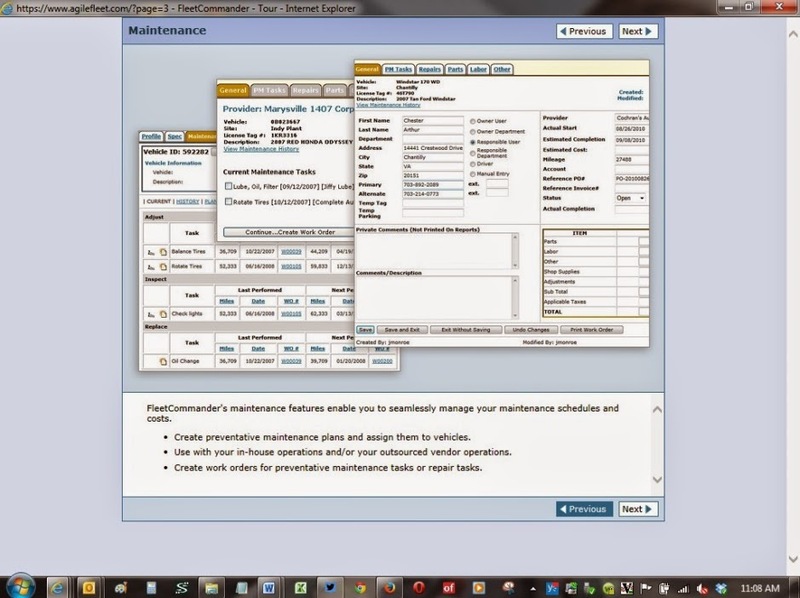 It also extends the life of the vehicle components by tracking when maintenance and repairs should occur. Through FleetCommander, Imagine! can monitor accident records in one accessible location that permits simple, accurate updating. 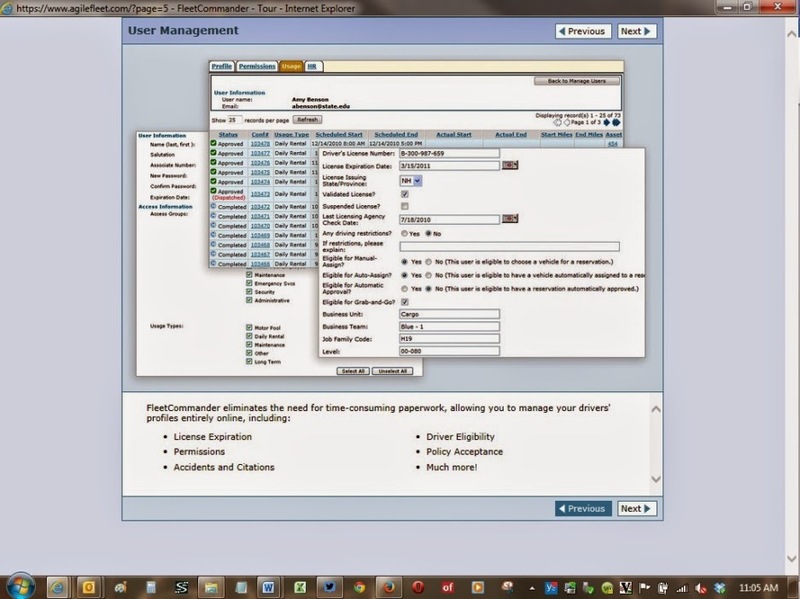 This allows easy data extraction for use by company personnel or claims. FleetCommander integrates with US Bank Voyager system so monthly fuel records are easily downloaded. Miles per gallon can be computed instantly for any vehicle or combination of vehicles to measure against factory specs. This allows for research of significant mpg differences to be explored and corrective actions to be taken as needed. 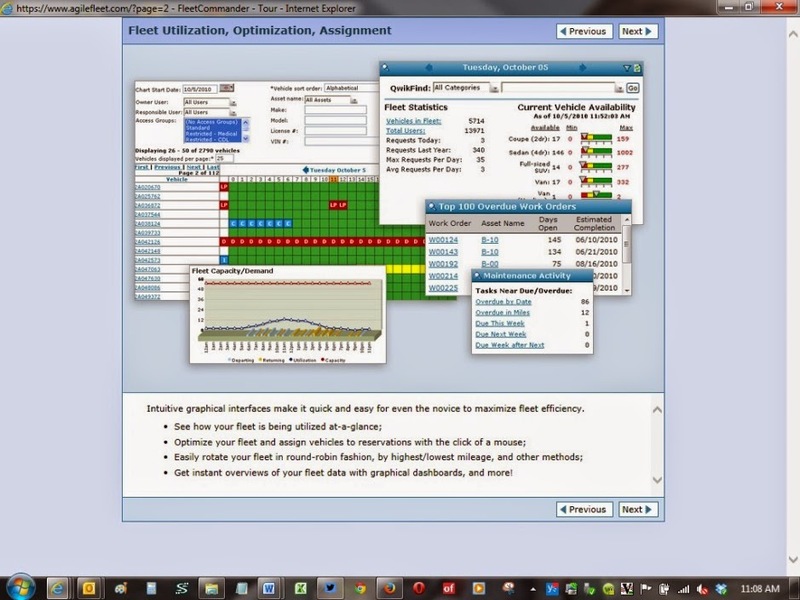 FleetCommander system data is capable of monitoring variances of parts and/or labor costs so that the most economical resources are used, and system data can be organized so that trends of parts replacements can be tracked – such as tires, brakes, shocks/struts, etc. Reports can be created that are supportive of efforts for fleet obsolescence and upgrading plans. Finally, the FleetCommander system allows for vehicles to be grouped/assigned to departments or individuals so that cost allocation is simple and accurate. Like many organizations, both for profit and not for profit, from time to time Imagine! has engaged in team building activities. You know, the kind of activities facilitated by an outsider where you fill out quizzes to determine what your personality is and how that personality drives how you interact with others, or where you climb trees and travel across ropes to other trees, or where you try to figure out complex brain teasers as a group. While I may occasionally fall on the skeptical side when it comes to these activities, I acknowledge that they can and do bring value (as well as bring teams together) if done properly and with the right group of people. That being said, I happen to believe the best team building activities are ones that develop organically in organizations through facing everyday issues and challenges, not ones that are artificially created outside of the realm of the organization’s real work and tasks. I recently observed a naturally forming team building exercise here at Imagine!. In an ongoing effort to continuously improve and standardize our business, Imagine! recently made changes to its online payroll and human resources processing systems, migrating and consolidating current systems to a new platform. In our field we can never stop our day to day activities, so of course these demanding changes took place in the midst of everything else we do in our efforts to provide individuals with intellectual and developmental disabilities opportunities to increase their self-reliance and contribute to their communities. It was hard work, but what was so pleasing for me to see was how employees came together to ensure that the transition was as smooth as possible. Hands reached out across departments to verify that all the important issues were addressed before going live, supervisors tested the system and asked pointed questions so they understood the new system well enough to explain it to their employees, and multiple training sessions were offered (and were well attended). To me, this offered a kind of “built in team building” opportunity, and I couldn’t be happier with the results. What could have resulted in a litany of complaints, a myriad of systems issues, and an unhappy and unproductive workforce, instead brought us together in ways that reinforced the strength of this organization – our ability to come together to create innovative solutions to complex problems. While we are likely to hit a few bumps over the next couple of weeks, Imagine! is in a much better place. Together we have addressed a pressing need, and together we will share the benefit. In the coming months, we are going to have many more opportunities for these built in team building opportunities. We are planning to redesign some of our workspaces, we are considering options for a new database to track all of our consumer information, we are experimenting with a new employee social network, and we continue our effort to enroll 299 individuals into the Supported Living Services waiver thanks to new resources from the state. None of the challenges listed above will be easy. They will be disruptive, and we will have to make tough decisions and will need the strength to stand by those decisions. The trick is to address our system changes as team building; align our goals, build working relationships, clarify working roles, deliver solutions, and reflect on achievements. Our recent (and not so recent) history is indicative; we will persevere and come out a stronger team at the end. I think that is a pretty cool thing, and a much better option than getting pulled along kicking and screaming. This week’s Technology Tuesday comes to you from Suzanne Phillips, Communication Teacher at Imagine!’s Longmont CORE/Labor Source (CLS) hub. Today, Suzanne talks about AbleNet’s Sounding Board app, and how she and others are using it to open doors to new communication opportunities. I have been working with her the past few days on using the Sounding Board app on the iPads to help her communicate, and she has responded extremely well! I created a single-button board on the app so that when she touches the screen, it says, "I would like some attention please." For the past two days, Jane has independently touched the screen multiple times to get staff attention instead of hitting herself. YAY! After getting staff attention, Jane would use the yes/no buttons on a different board to tell staff if she needed to use the restroom or not. While there is still some work to do, Jane has done a wonderful job using the app instead of hitting herself to get staff attention thus far. Other staff members are using the app as well when working with Jane to help her continue to improve her communication. I love seeing the progress she's making! Thanks for reading and sharing in the excitement! I love to see teachers like Alexa promoting this kind of self-reliance, and creating such successful teachable moments! I know that this is just the beginning, and we will continue to work as a team to build on this success. I look forward to sharing more stories with you soon – stay tuned! So over the next few months, I’d like to use this blog to thank some of those community partners that make all the difference when it comes to successful outcomes for Out & About participants. Today, I’d like to acknowledge Flatirons Community Church in Lafayette for its support of Out & About. All this fall, Out & About’s Catalog program used a room in Flatirons Church (for free!) for their “Healthy Living” course – which included self-defense lessons. Thank you, Flatirons Community Church, for your continued support of your community and all of its members. 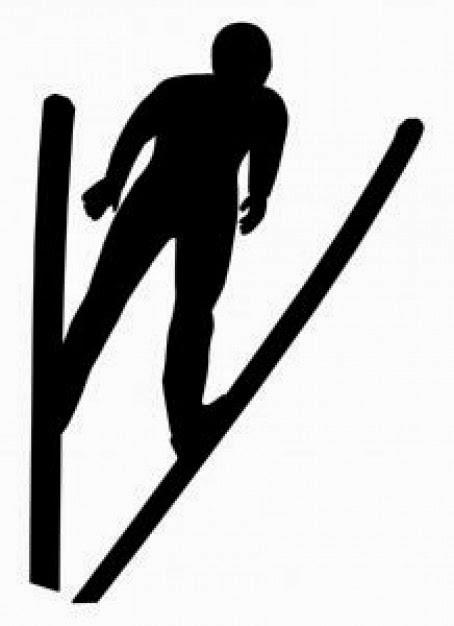 Lately I have been following the 2014 edition of the USA Ski Jumping Story Project, which shares stories from ski jumpers (and fans) from across the nation as part of a fundraising campaign. Last year’s version of this project was one of the inspirations for Imagine!’s “50 Years, 50 Stories,” shared right on this very blog in celebration of our 50th Anniversary in 2013. I recently came across a post in this series that I felt had some relevant thoughts to our work at Imagine!. The post was from Walter Malmquist, a two-time member of the US Olympic Ski team. In the post, Malmquist recollected a story about an assignment he received while still in high school from a ski coach named Jim Page. The assignment was for Walter to write out his goals for his ski career. For Walter, this was a transformational assignment, as it forced him to publicly commit to certain aspirations that had up until then remained unspoken, and therefore existed without any sort of plan as to how to make those aspirations a reality. In my opinion, that short paragraph offers a roadmap for Imagine! employees, and the people we serve, to achieve success. Let’s start with employees. It is fairly clear that we attract a certain sort of employee at our organization – bright, compassionate, and committed to making a difference in the lives of others. That last part, however, can be tricky without a plan in place. Too often employees come in with the best of intentions but without a concept of what success looks like and no idea of how to get to desired outcomes. Sadly, it isn’t enough just to want to help. You need to know what that help looks like, you need to record and monitor your day to day tasks and evaluate the data constantly, and create new and better goals as time goes on. The same holds true for those we serve. I have often said that our job at Imagine! isn’t to serve as caretakers. Instead, we are facilitators working to connect the individuals we serve with the tools and resources they need to become contributing members of their communities. As facilitators, our job isn’t to “do for,” instead; our job is to set the stage for success. This means that the ultimate success or failure for any of the individuals we serve is dependent on that particular individual. We can help lay out the path, but only they can travel it. Without actionable, measurable goals in place, success can only ever remain an aspiration, not a reality. A group of University of Colorado Engineering students in a 2014 Fall Semester class taught by Associate Professor Melinda Piket-May spent the semester working on projects to design simple adaptive technologies that aid increased independence for some of the individuals Imagine! serves. 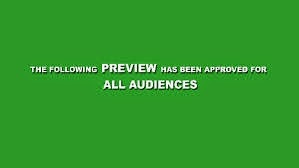 Below are some videos of the students demonstrating their projects. The videos are short and well worth your time – this is some amazing stuff. This device can act as a cost effective hearing aid (even works underwater!) or just as a fun way to listen to music. This project allows an individual served by Imagine! who has a hearing disability to “hear” music through vibrations in water. Created to allow an individual served by Imagine! to shower independently through verbal prompts on an mp3. Built for Gerald, who lives in Imagine!’s Santa Fe Group Home in Broomfield. Last week, a group of volunteers from the University of Colorado at Boulder stopped by Imagine!’s Bob and Judy Charles SmartHome. 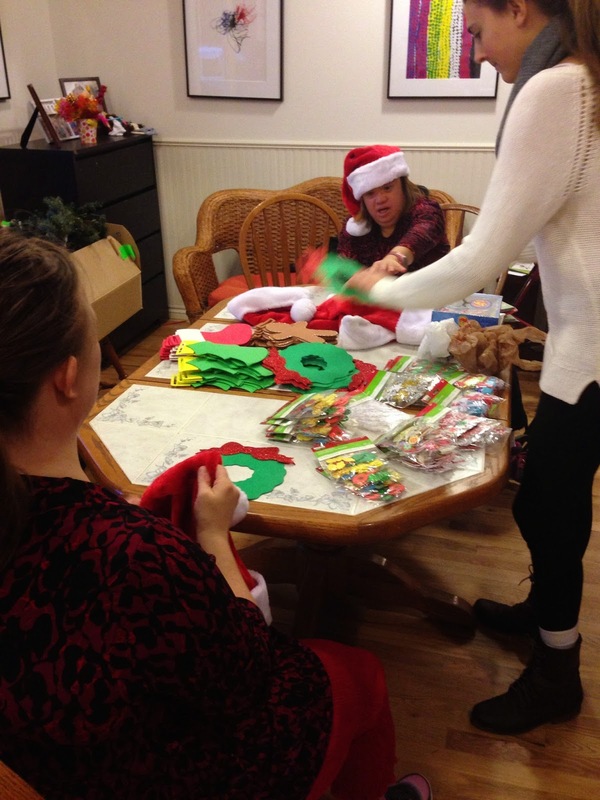 The volunteers brought all kinds of Holiday cheer with arts and crafts and a round or three of Christmas bingo. They even brought small gifts for each of the residents, which, if you didn’t know, can cause a pizza party to spontaneously erupt. All reports were that the pizza was delicious! Today, I’d like to acknowledge Grace Studios in Broomfield for its support of Out & About. Out & About has used Grace Studios for their Movement classes for the last five years, for both adults and children. The space is just the perfect size for the Out & About groups, especially Summer Camp classes. The main activity can be held in Grace Studio’s large studio, while kids who want a break are able to use the small studio. The owners are always very understanding and supportive of the Out & About staff members and participants, even when things don’t always go as planned (such as the occasional broken picture or trophy). Thank you, Grace Studios, for your continued support of your community and all of its members. I recently came across an article in the Harvard Business Review asking an interesting question: why are government workers harder to motivate than those in other sectors? Now, I don’t think anyone who knows me or has read this blog regularly would be surprised to hear me cop to occasionally being a bit harsh with my judgments about some of the decisions made by some people in government. Typically this is about decisions involved in determining how our system of funding and serving individuals with intellectual and developmental disabilities operates. However, today I think I need to stand up for my colleagues in the public sector after reading through this article a couple of times. These are people that I know and like on a personal level. However, I found by placing myself in the public sector work environment, my personal opportunity to thrive might take a dent or two. In fact, I probably wouldn’t be writing this blog at the moment (in the event of which wouldn’t kill trees), but you get the point. Imagine working in an environment where you are portrayed as nameless, faceless bureaucrats; where you have frequent and abrupt changes in leadership with time limited agendas; where achievements are difficult to measure; where the workforce is older, yet more educated; where employees have stronger job protections making it more difficult for managers to address employee performance; where it is difficult to introduce perks and performance incentives; where unlike the private sector, union influence remains; and where your performance includes more public visibility. Decisions are not necessarily performed at the most practical level. It simply isn’t allowed. The article goes on to suggest how to compensate for each of the identified issues described above, and that is a nice thing. So how do we measure up? I can say my colleagues in the public sector have people with disabilities in the forefront of their thinking when setting policy. I don’t think any state government would be considered nimble; able to adapt and pivot when the future demands. As the pace of our expectations continues to quicken, we all have to wonder if the public sector can maintain stride. This being said, there is no reason not to continue to set the bar of expectations high. We do not do this for ourselves, rather for the individuals and families we serve. I will continue to single out and praise those individuals and agencies that do make the extra effort to ensure that their actions and edicts result in meaningful outcomes. I will set the bar high and demand that we all aim for going over that bar in all of our actions. What we do is too important not to shoot for that goal every time. Today’s Technology Tuesday comes from Imagine!’s Assistive Technology Lab facilitator Stephanie Tilley. Stephanie is a Certified Therapeutic Recreation Specialist who has worked for Imagine! for more than 10 years, and is the author of “101 Adapted Games for Kids,” which provides adaptations for children’s activities to create inclusive activities and environments. In the piece below, Stephanie talks about an iPad program called Osmo. This week I’d like to highlight a program that we use on the iPad called Osmo. Osmo is an accessory that is added to the iPad which consists of a reflector that snaps over the camera of the iPad and a stand. The Osmo also comes with three activities: Tangrams, Words, and Newton. The tangible pieces to the activities are included in the Osmo and the apps are free from the app store. The incredible thing about this program is that the reflector incorporated the surface in front of the iPad right onto the screen. The Tangrams activity comes with tangible puzzle pieces that participants use to match the picture on the screen. 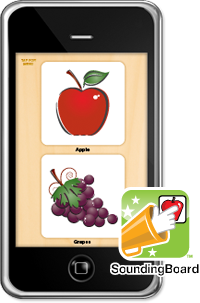 The program allows the iPad to recognize when the pieces are arranged correctly to match the picture on the screen. 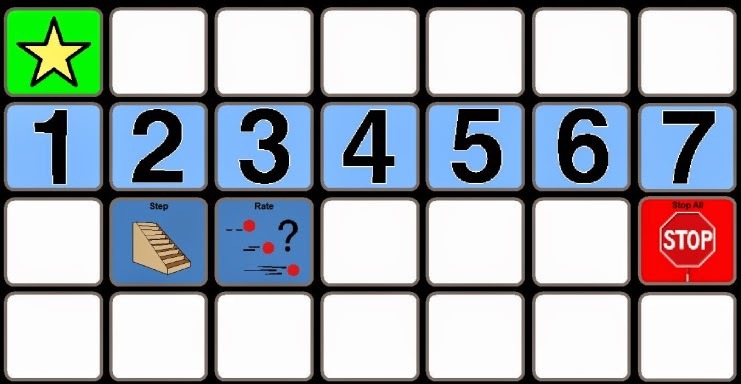 There are different levels of difficulty and more puzzles unlock the more that the activity is played. For the Newton program it’s often helpful to have a few sheets of plain white paper and a pencil, pen, or marker available. Participants draw on the paper to create lines or shapes for the balls that are dropping from the top of the iPad screen to bounce off of. The object is to get the balls to hit targets on the screen. Besides drawing, other objects can be placed on the surface in front of the iPad and their outlines are incorporated into the activity as well. Often during class we use the tangram pieces and participants move them to different spots on the playing surface to make the balls bounce in different directions to hit the targets. When using the words program, participants have the guess the words associated with the pictures on the screen. Participants then spell the words using tangible letter pieces that are included in the game, on the surface in front of the iPad. This activity can be played individually, with a group, or vs. another person. This activity has been used often during class as it encourages participants to work together to guess and spell the words. During one activity in particular, one participant had challenges with seeing the pieces, but was skilled at spelling, while the other participant had some challenges with spelling, but could easily identify the different letters. These two participants worked for a large portion of the class time working together and working on so many skills at the same time. Today is the Fifth Annual Colorado Gives Day -- a great day to "give where you live." 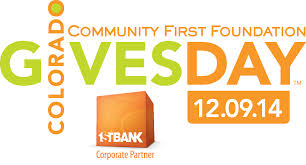 Each nonprofit receiving a donation on this day receives a portion of an Incentive Fund. This year, the Incentive Fund has more than tripled to $1 million! This means that Imagine! will receive a portion of this fund for every donation we receive, and will increase the impact of your generosity. 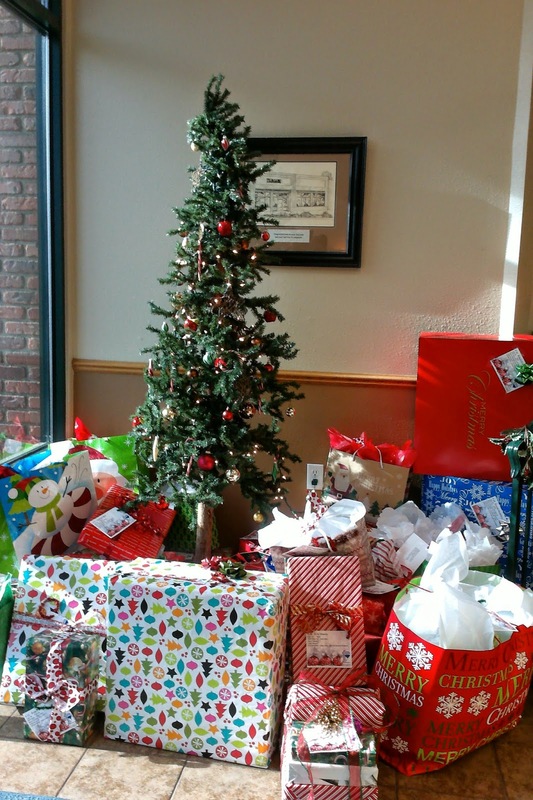 Your gift will have a far-reaching impact on the individuals we serve, and their families. Click on this link to donate now, as well as ensure that Imagine! receives a share of the $1 million Incentive Fund. Help us reach $20,000 today -- you'll support people of all ages with intellectual and developmental disabilities in Boulder and Broomfield counties. Today, I am honored to introduce the 2014 Imagine! Employees of Distinction. It is my pleasure to call these individuals my co-workers. Today, I’d like to acknowledge the The Humane Society of Boulder Valley for its support of Out & About. 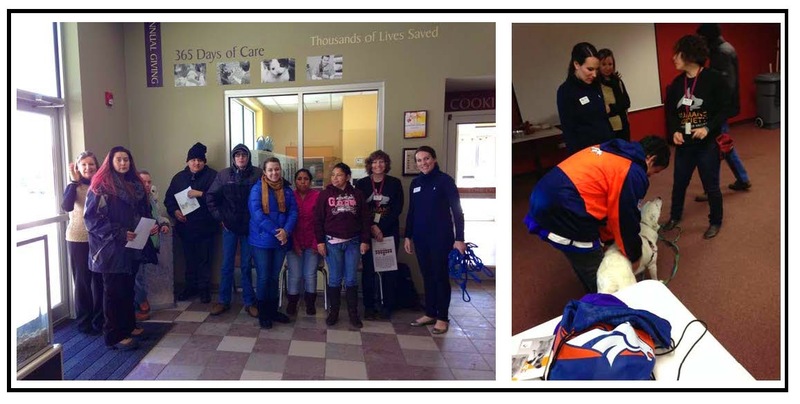 This past spring, The Humane Society of Boulder Valley gave Out & About’s Community Access class a free pet care class and tour. During the tour, the class learned about responsible pet ownership, got to meet a dog (who happened to be deaf and responded to sign language! ), and made dog toys. It was a great learning experience for all! Thank you, Humane Society of Boulder Valley, for your continued support of your community and all of its members. "Down on the corner…Out in the Street…"
It’s Tuesday once again, and it’s time for another Chris’s Corner. This installment of The Corner comes to you from the Bob and Judy Charles SmartHome in Boulder, where John and Karen are both following in the illustrious footsteps of their roommate Lana. Recently, Lana achieved her goal of becoming self-reliant in the administration of her medications using a new computer-based medication task minder developed by Imagine! staff members called MedMinder. If you haven’t seen it already, here’s a video of Lana using her computer to prompt her through filling a week’s worth of medications. Inspired by Lana’s success, John and Karen are now using the same tools so that they too will be self-reliant in their own medication administration. They’ve already shredded through the tests designed to determine how well they know their medications (which medications are taken, when they’re taken, how much is taken, what each medication is designed to do, etc. ), and now the next challenge: actually filling a MedMinder box with test medications. Keep up the good work, you two! We’ll be checking back in to see your progress! I’m delighted to announce that the 2014 Imagine! Employees of Distinction have been selected. There were close to fifty nominations this year, with many qualified candidates, so we should all be justifiably proud of our colleagues who have been nominated and selected. 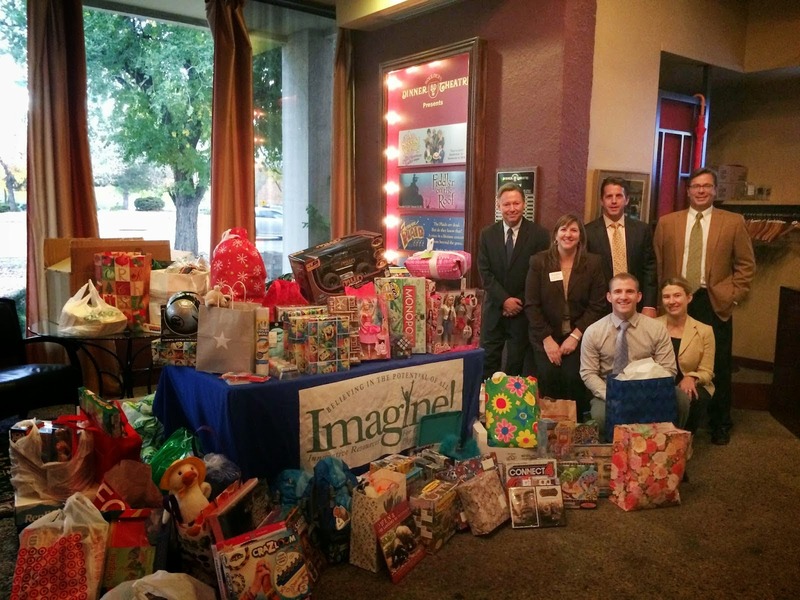 Recipients of the 2014 Imagine! Employee of Distinction will be recognized in front of their peers at the Imagine!’s Holiday Party, scheduled for Friday, December 5, at the Plaza Hotel in Longmont from 5:30-9:30. I will also be recognizing them on this very blog next week, but today I thought I’d give you a sneak peek. Below is a collage of the eight Imagine! employees who were recognized by their peers as 2014 Employees of Distinction. 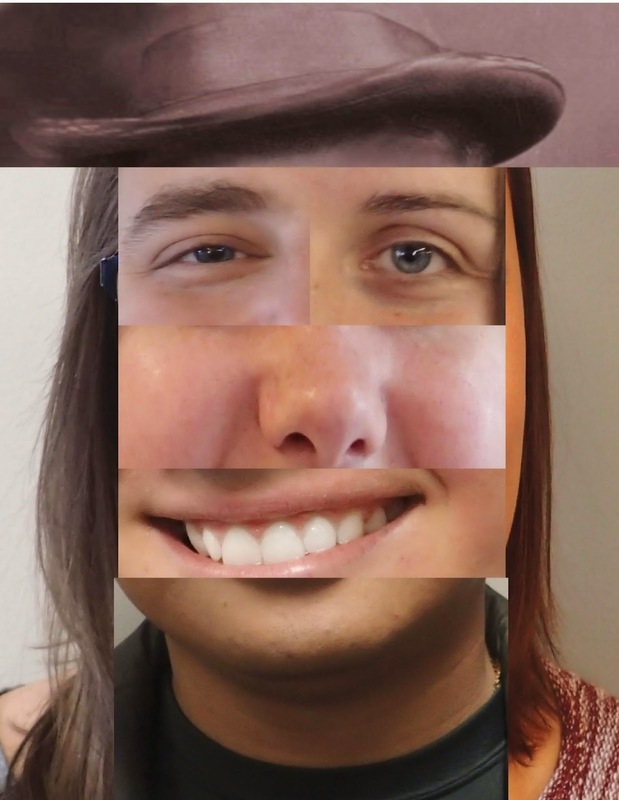 Do you think you can recognize them? Tune in next week to find out for sure! As an organization, Imagine! makes decisions that impact the organization and the people we serve every day. As the CEO of Imagine!, I also have to make decisions that impact the organization and the people we serve every day. 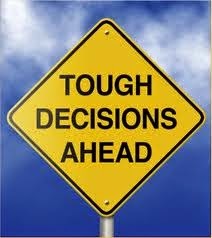 I will admit that sometimes those decisions, both personal and organizational, aren’t the correct decisions. But more often than not they are. I think it is because we have created a solid foundation upon which to base our decisions. We have developed a fertile ground for making the right call at the right time. Those last two questions are especially important. While we want to determine beforehand what our desired outcomes for a particular decision will be, we need to leave some room for accepting a failed outcome even though the decision was correct. Just because a decision doesn’t result in the expected or desired outcomes doesn’t automatically mean the decision was incorrect. Sometimes it just means that the timing wasn’t right. Or the resources we thought would be available weren’t actually there. Just because a person falls from a horse, it doesn’t mean the decision to go horseback riding was incorrect. Whatever the case may be in regards to why a decision is or isn’t ultimately proven to be the correct one, we must be able to take what we learned from what didn’t work as a result of one decision and apply those lessons to the next decision(s) we make. If we do that, then really, no decision can be viewed as a failure. We need to accept that not all the decisions we make will be the correct ones. We need to be forgiving of ourselves and others if a decision doesn’t produce the desired outcome, but we need to pay attention to what didn’t work so we don’t make the same selection again. If we can make that happen, then we will continue to operate on a strong foundation for making the right decisions at the right time, and accepting, acknowledging, and moving forward when we don’t make the right decisions. We’ve had an exciting new breakthrough in Longmont’s CORE/Labor Source “Cause and Effect” class! This class, as I’ve written about before, teaches cause-and-effect/computer skills to non-verbal adults with limited mobility. Three out of four of my students have been moving forward at a rapid pace. They have been learning to turn on lights, using the new iPads, and pressing switches to play games and turn on movie clips. However, I have one student that had not been interested in any of our computer games or sensory items. I was starting to worry that “Sam” (not his real name) would not get much from of my class, something that no teacher wants to accept! Then we had our breakthrough. Sam’s provider told me that, while watching a movie, Sam had suddenly started dancing while a Carpenters song played. I got to work immediately, setting up a new activity for him to use during Cause and Effect class. I attached speakers to an iPad, then attached the iPad and a switch to a PowerLink. The iPad was set up to play a Carpenters Pandora station. I sat down to teach Sam how to turn on his own music, wondering if this would engage him when nothing else had. I explained to him what I was working on, but he did not make eye contact or seem interested in the new setup. I then demonstrated how to press the switch to turn on his music. “We’ve Only Just Begun” by The Carpenters began to play, and Sam froze. He turned slowly towards me, listening intently, then lifted one hand and started moving it slowly through the air. I couldn’t believe what happened next - this quiet and reserved guy started laughing, clapping and dancing by moving his shoulders, arms and hands. He loved it! I stopped pressing the switch and the music turned off, he froze again and looked at me. I started the process of teaching him how to turn the music on by pressing the switch. I realized that direct access (he has to be holding down the switch to hear the music) didn’t work as well because he needed his hands for dancing! I set up the PowerLink to play 30-40 second clips of a song, long enough for him to enjoy his music and with a sudden enough stop to get him interested in pressing the switch to turn his music back on. The first week I taught Sam the basic concepts, and by the second week he pressed the switch independently almost 20 times. I wish I could describe to you the difference I have seen in this guy. When I see him now he grins and claps his hands, he is progressing in class and I know that we have a foundation that we can build on. It is very exciting and I can’t wait to see what skills he will master next. Thank you for reading this week’s Tech Tuesday, I will be back with more updates soon! Today, I’d like to offer my sincere thanks to Dave Query, who is once again treating individuals served by Imagine! and their families to a traditional turkey dinner on Thanksgiving Day. This is the 11th year Query has hosted this event, which will again be at Zolo Southwestern Grill, 2525 Arapahoe Avenue, Boulder. Dave Query (in the center in the back) with family and Zolo staff members at last year's Thanksgiving feast for individuals served by Imagine! Thanks to Dave and the Zolo staff for making it a Thanksgiving to remember! Today, I’d like to acknowledge the Paul Derda Recreation Center in Broomfield for its support of Out & About. Out & About uses Paul Derda’s pool at least once a week during its Summer Camp program as well as during the school year. 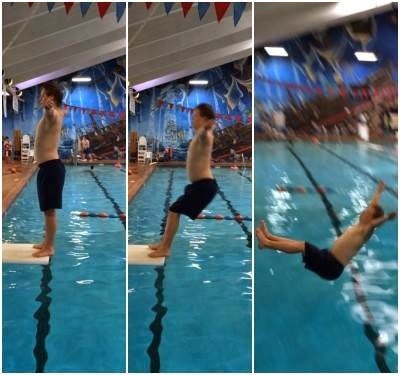 The kids LOVE the slides and family hot tub at this pool! 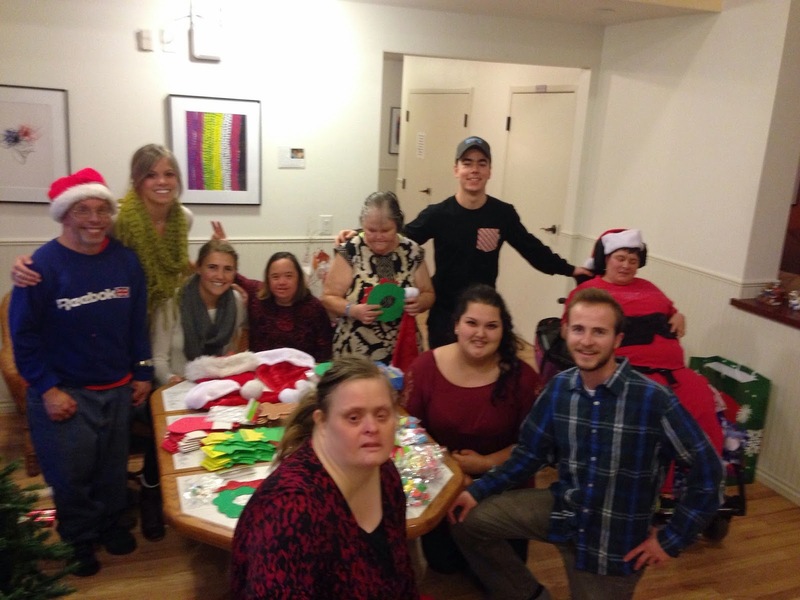 The staff members at Paul Derda are always kind and accommodating to the Out & About group. Thank you, Paul Derda Recreation Center, for your continued support of your community and all of its members. A little less than a month ago, I wrote a post about how my trip to Africa changed my view of what it means to be privileged. That change in perspective was accompanied by a commitment I made to myself to make a greater effort to use my own privilege and advantages for the common good. As the holiday season approaches, I see many opportunities to do just that. But where to start? As I was pondering that question recently, I happened to see an article in The Daily Camera written by Enid Ablowitz, Associate Director for Administration at the Coleman Institute for Cognitive Disabilities in the Office of the President, University of Colorado, about this very subject. (Full disclosure: Enid is a longtime friend of Imagine! and I respect her opinion greatly). If you didn’t click on the link to the article above, here’s a quick summary. Enid points out that November is National Philanthropy Month, making it a great time to focus on changing the culture of charitable giving? What, she asks, if there could be a true paradigm shift in the way we view "the holidays," and if we could get just as excited about charitable giving as we do about costumes, wrapping paper and the latest and greatest trinket? FIND YOUR PASSION: What do you really care about? Societal needs? Creating opportunity? What do you want to make sure is there for others in the future? What has made a difference in your life? Virtually every enterprise requires people and resources to sustain it. How can you share your passion through charitable giving? LEARN NEW GIVING STRATEGIES: Don't let giving be perfunctory, like paying bills. Take it seriously and maximize your impact. Don't let taxes drive your giving, but learn how financial and tax considerations can unlock your giving potential. What giving strategies do you want to learn more about? CHOOSE A NON-PROFIT PARTNER: Focus on the charitable organization that best matches your passion and get involved. How can you help it be more effective and more accountable? TEACH OTHERS TO GIVE: Create teachable moments to engage children, grandchildren, siblings, even spouses or partners in the joy of giving. Specifically, how will you approach exchanging gifts this holiday season? Are there lessons to be learned in the choices you make? SHOW YOUR LOVE, RESPECT OR GRATITUDE THROUGH GIVING: Give in someone else's name ... for a purpose aligned with their passion. Who will you honor and how? In the next six weeks, you will have many opportunities to give back and make a difference. Some of those opportunities will be related to Imagine!, and I promise to share those ways with you on this very blog. But for today, all I ask is that you join me in re-thinking how we approach this season, and consider what we all can do differently in search of a better world for all. We might all learn something in the process. Imagine!’s own Stephanie Tilley was recently the subject of an article in Apostrophe Magazine. 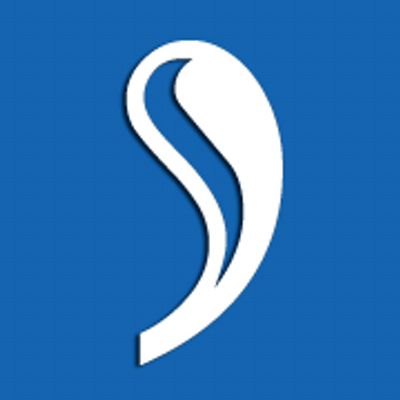 Apostrophe is a national publication promoting inclusion of people with intellectual and developmental disabilities. Their stories and photos show people achieving independence, contributing to their communities, and enjoying life. 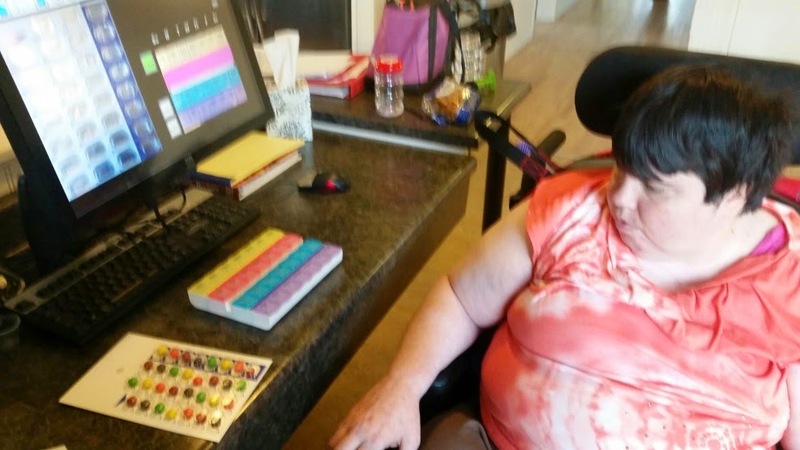 In the article, Stephanie explains why using technology is so important to those with developmental and intellectual disabilities, and gives examples of how she incorporates technology in the classes she teaches at Imagine!’s CORE/Labor Source department. On Thursday, November 6, 2014, Imagine! hosted an Open House at its brand new Santa Fe Group Home in Broomfield. Imagine!’s Santa Fe Group Home serves as a home base to meet the multiple needs of six individuals with developmental disabilities who are seniors or experiencing the early onset of aging-related conditions that often accompany these disabilities. This specialized care allows the individuals to live in a neighborhood setting while avoiding the more costly nursing home alternative. In the video below, you will see Imagine!’s Director of Innovations, Jodi Walters (and me) talk a little about the how and why of the home, and thank the many people who helped make it possible. It is worth the view to learn about another example of Imagine! looking toward the future so we can continue to meet the needs of those we serve. Today, I’d like to acknowledge Chipper’s Lane in Broomfield for its support of Out & About. Almost every Tuesday night, participants in Out & About’s Catalog program enjoy a fun night of bowling at Chipper’s Lane. The staff at Chipper’s is always friendly, helpful, and determined to ensure that the Out & About participants and crew have a great experience every time they are there. 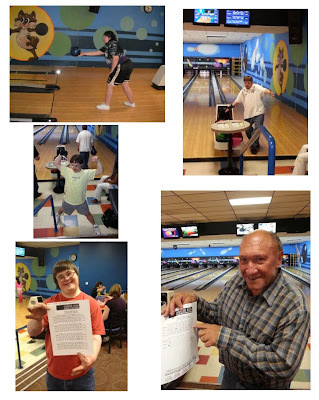 Thank you, Chipper’s Lanes, for your continued support of your community and all of its members. 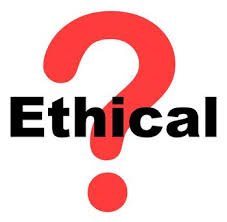 I recently heard the phrase “Ethical Persuasion” and it really struck me as an interesting and thoughtful phrase. Especially considering the recent election cycle our country just endured. And I use the term endure very intentionally. As I understand it, ethical persuasion means using respect, understanding, caring, and fairness when attempting to persuade another to consider your point of view. It contrasts with a lot of what I saw during the election campaign, especially in terms of the advertising that all of us were inundated with in the months leading up to Election Day. But I’m not sure the ends justify the means, and I’m willing to bet that many of you reading this feel the same way. Of course, this isn’t a blog about politics, and the point of this blog is to talk about ethical persuasion and how it relates to those of us in the field of serving individuals with intellectual and developmental disabilities. I’ve been thinking lately about the language we use and if we are using it appropriately and ethically. For example, I have heard on more than one occasion the individuals we serve described as “our most vulnerable citizens.” That’s powerful language, and certainly draws attention, but is it really true? Are the people we serve more vulnerable than those who are economically poor, or children who don’t have enough to eat, or who live in neighborhoods with high crime rates? Are we just engaging in hyperbole in order to make people pay more attention to our particular cause or issue? And if we are engaging in hyperbole, is that OK if it leads for more opportunities to meet the needs of those we serve? Let’s take it a step further. I have often said to legislators and others who regulate the funding and delivery of services in our field that the rates we receive at Imagine! for delivering the services don’t support the services we provide. Now, I firmly believe that is true, and I have the data to back my belief. However, I fully understand that what I’m saying when I make that argument is that our providers (many of whom are Imagine! employees) don’t get paid enough for the work they do, and they need to earn more. Others could argue that they get paid too much. Some would say that if more funding goes into our system, it should go directly to families or the individuals we serve, not to the organizations providing the services. Some would say that there is already too much money in the system and we should be looking to cut how much is spent. So am I engaging in ethical persuasion when I say that our rates aren’t adequate? Can I defend this position and say I am using respect, understanding, caring, and fairness when attempting to persuade someone else to consider my point of view? I think so, but . . .
People with cognitive disabilities have an equal right to technology and information access. A coalition of disability organizations and individuals asserted this right in a formal declaration, The Rights of People with Cognitive Disabilities to Technology and Information Access, announced at the Thirteenth Annual Coleman Institute National Conference on Cognitive Disability and Technology, held in 2013. At the Fourteenth Annual Coleman Institute National Conference on Cognitive Disability and Technology, held just this past October, the video below debuted. You are encouraged to watch it and be reminded as to why Imagine! continues to diligently work to increase technology use among the population we serve. You might also recognize some of the people in the footage showing how technology is already being utilized by people with intellectual and developmental disabilities – they are residents of Imagine!’s Bob and Judy Charles SmartHome. If you haven’t already, please endorse the declaration by following this link, and to affirm your commitment to the equal rights of people with cognitive disabilities to technology and information access. This past Monday, Imagine! launched a crowdfunding campaign to raise money to provide Thanksgiving meals for some individuals served by our organization who weren’t able to access these meals otherwise. I had planned to use this space to share that news and encourage my readers to donate to the campaign. But I don’t have to do that now, because thanks to the amazing generosity of our community, the campaign met its goal of $1,000 (to provide meals for 50 individuals) in less than three days! I’d like to congratulate Elizabeth Hill, Imagine!’s Volunteer Coordinator, for leading this incredibly successful effort. I’d also like to thank the many generous donors who contributed so quickly. Below you can see the video that was created by Imagine! staff members for the fundraising campaign. And if you are interested, you can learn more about the campaign by clicking here. The campaign is still live, and donations are still being accepted, as any additional funds will create more opportunities for making it a really great Thanksgiving for folks in need. But I’m not asking you donate. I’d never do that. Today, I’d like to acknowledge the Longmont Recreation Center for its support of Out & About. Out & About uses the Longmont Recreation Center’s pool at least once a week during its Summer Camp program, and several times throughout the school year as well. The pool is great for Out & About participants as there are so many different areas to explore. Once during the summer Out & About also uses the Longmont Recreation Center’s rock climbing wall. The staff members at the rock wall are great with participants and really support them in giving the rock climbing a try. They have even helped to rig up some adaptive harnesses to ensure everyone who wants to try, is able! Thank you, Longmont Recreation Center, for your continued support of your community and all of its members. Imagine! has been planning a significant overhaul of both of our workspaces for some time now. As we get closer to the time that the actual work of remodeling and reassigning of workspaces will take place, it is probably time to discuss a little bit of the “why” of this project. In a stroke of fortunate timing, I was pondering how to share with our stakeholders, especially our employees, the reasons for the redesign of our offices when I came across a fantastic podcast. This Harvard Business Review (HBR) podcast features an interview with Jennifer Magnolfi, Founder & Principal Investigator at Programmable Habitats LLC, on how digital work and the Internet of Things will fundamentally change the how we use the buildings and neighborhoods we work in. Magnolfi is one of the authors of an HBR article entitled “Workspaces That Move People,” which encourages companies to measure whether a workspace’s design helps or hurts performance. That important question, whether Imagine!’s workspace currently helps or hurts our performance, underlies our decision to reconsider how Imagine!’s workspaces are configured. I would argue that our current workspace hurts our performance. Let me provide a couple of examples of how I think our current workspace inhibits top functioning. First of all, we are missing many opportunities for what Magnolfi and her co-authors describe as collisions - chance encounters and unplanned interactions between knowledge workers, both inside and outside the organization. Studies indicate that face-to-face interactions are by far the most important activity in a workspace. This is especially true at Imagine!. We have many employees with very specific knowledge about different aspects of Imagine!, the services we provide, the individuals we serve, and the funding mechanisms for providing those services. No one person has all the pieces to the puzzle, including me. Unfortunately, we tend to literally “silo” knowledge experts with our current workspace set up. People working in the same workspace on the same things for multiple years are less likely to have opportunities to share what they know with those outside of their limited area of expertise. The chance that a comment such as “I’m working on this” will lead to a response of “That fits in perfectly with what I’m doing, let’s see what we can do together” is significantly lessened by the silos that we have, albeit unintentionally, created at Imagine!’s workspaces. Tearing down those silos will lead to accelerated learning and increasing interaction among our workforce. Here’s a second reason. The redesign is being directed to make our space more user friendly for visitors. For example, currently, many of the meeting rooms at our main administrative building are located on the second floor. Those rooms host meetings every day with the individuals and families we serve. What kind of message does it send when we make the people we are supposed to be assisting, many of whom have physical disabilities in addition to intellectual and developmental disabilities, climb stairs or wait for elevators when we have a ground floor dedicated to other purposes? Not a very friendly or person-centered message, to be sure. So if we have a new workspace design with meeting spaces on the first floor designated for use for meetings with visitors and the people we serve, we are sending a subtle but very powerful message – your needs matter. For an organization like Imagine!, that seems like exactly the message we want to send every day and in every way to our community and the people we serve. Those are just two examples of why I believe this redesign is so important. There are others as well, but the main point is that we are trying to look at office space in a similar way as we might look at software. No one is surprised when a company updates software annually, or even every six months. It is expected, and assumed, that the upgrades will provide new opportunities for improved performance. But we don’t look at physical buildings in the same way. Workspaces remain static for long periods of time. I agree with Magnolfi that we need to rethink that attitude. Changes should always be considered when the opportunity to do better through that change arises. We can’t cling to our outdated notions of what our workspaces should look like just because we are comfortable, or we like our cube mates, or because change can be intimidating. We have to do our homework. We have to understand how new tools have changed how we work. If we want to be the best we can be, we have to examine everything, including the spaces where we work. I have told you many times before about Imagine!’s collaboration with the University of Colorado Engineering School, where students create a variety of assistive technology projects for individuals served by Imagine!. (Don’t recall? Check out here, here, here, here, and here for just a few examples of projects). Our awesome project is an electronic color organ box. A phone or music player is plugged into it, and six different boxes will light up based on the bass, mid, and treble sounds from the music. 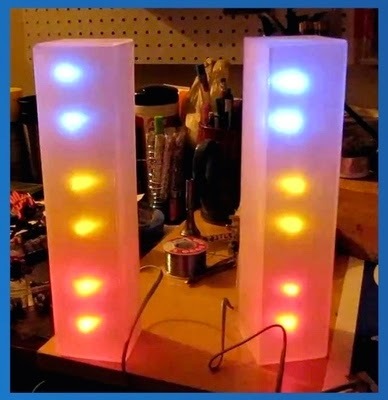 There will be two columns of boxes, the bottom two are the biggest and will light up the same color with the base. The middle two will light up a different color together with the mid frequencies. And the top two boxes will light up a third color with the high frequencies. There will be three different color schemes that the user can choose for the boxes to be through a remote. The remote will also be able to control the volume of the music and intensity of the light. 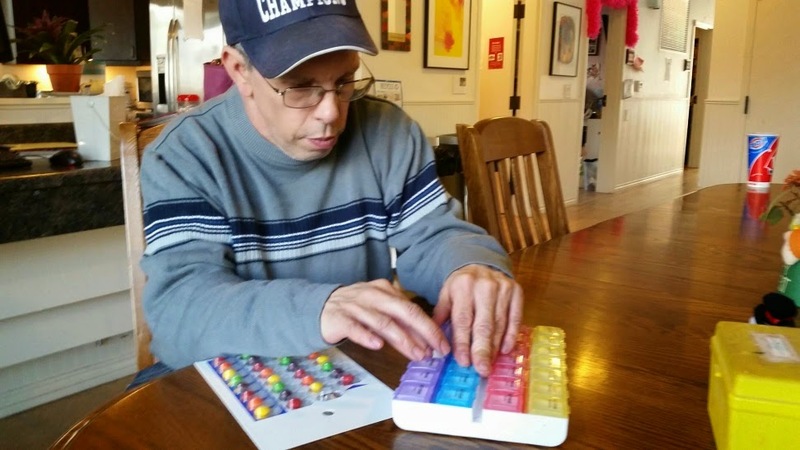 This electronic color organ box will be put in Imagine!’s Charles Family SmartHome in Longmont, CO, which is a home for individuals with intellectual and developmental disabilities. We will use the money for electronic boards such as an arduino and spectrum shield. A spectrum shield breaks up the frequencies of the music. Also, we will buy nice acrylic to make the boxes and so the light will have a nice glow through it. We will buy LEDs for the colored light, an AC/DC cord, and miscellaneous things such as wires and screws. The money will definitely be put to good use! Thanks for helping out, and thanks especially to the CU students for adding their project to this contest! Today, I am pleased to share highlights of Imagine!’s most recently ended fiscal year (FY 2013-2104). Over the course of the year, Imagine! provided case management or service coordination for a total of 2,972 individuals throughout Boulder and Broomfield Counties. More than 900 (30%) of people served by Imagine! were babies and toddlers with developmental delays; the rest were children, youth, and adults with intellectual and developmental disabilities (I/DD). Imagine! also provided a range of direct services to these individuals. Provided information and referrals to more than 1,400 families providing at-home care for an individual with I/DD. Provided financial support to the families of 60 children with extraordinary needs arising from I/DD and physical disabilities who were waitlisted for Medicaid-funded services. Helped parents of 60 children with autism spectrum disorders to select and pay for services such as psychological counseling, behavioral therapy, or social skills coaching. 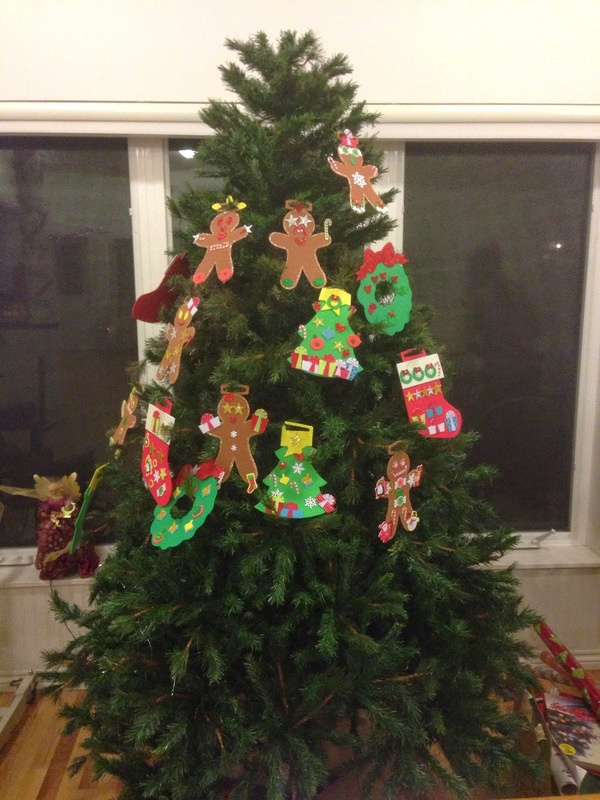 Supervised foster placements and care for 29 children whose special needs could not be met by their birth parents. Provided a variety of residential services – responsive to individual needs and capabilities – to 194 adults with I/DD. This number included 28 individuals who required round-the-clock, hands-on staff supports. Helped 315 babies and toddlers with developmental delays to improve their communication, motor, and/or social skills through early intervention therapies. Assisted 48 school-aged children with I/DD in learning vital socialization skills to help them to participate more fully in society, while affording their parents the peace of mind that comes with safe and appropriate childcare during work hours, through Summer Camp, After School, and School Closure Day programs. Promoted the safety, growth, and development of 158 local adults with I/DD by giving them access to special outings and activities in the community. Provided job training, placement, coaching, and supervision for 123 adults with I/DD. Fostered the growth, development, and safety of 205 adults with I/DD through enriching and therapeutic day programs and classes. Provided comprehensive mental health services to 210 individuals with dual (mental illness and I/DD) diagnoses. Provided a broad range of behavioral health services to 87 individuals, and educated their parents and caregivers about ways to build cooperative behavior. Congratulations to all Imagine! employees for another great year of making a difference in the lives of those we serve. Imagine!’s Out & About department was created in 1997 in response to the requests of community members with disabilities and family members who care for those with disabilities to have more options for community-based recreation services. That “community-based” element is key - rather than scheduling activities in a segregated setting, you will find Out & About participants (both adults and children) utilizing recreation centers, bowling alleys, movie theaters, museums, and even amusement parks. Today, I’d like to acknowledge Boulder Parks and Recreation’s EXPAND program for its support of Out & About. The EXciting Programs Adventures and New Dimensions (EXPAND) program helps people who have disabilities improve and gain new recreation and leisure skills that will enhance participants' overall well being and their quality of life. 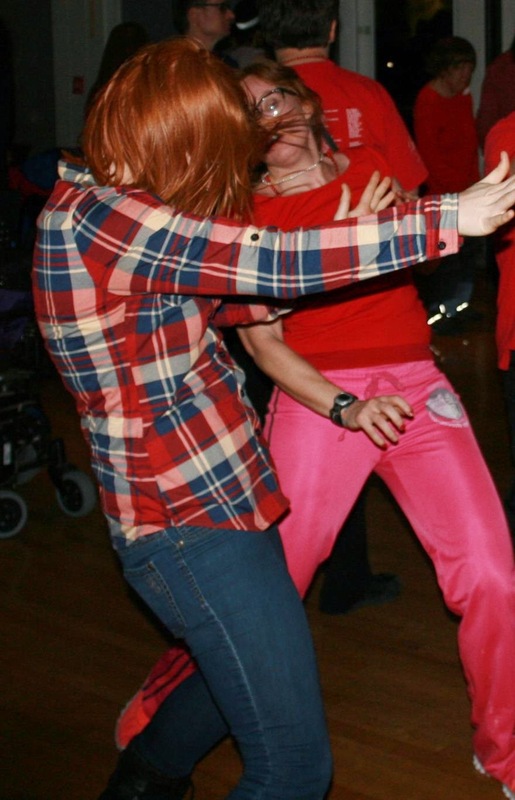 Participants in Out & About’s Catalog program attend community dances through EXPAND once a month, and they are always a big hit! Thank you, Boulder Parks and Recreation and EXPAND, for your continued support of your community and all of its members. If television ads, radio ads, newspaper ads, online ads, billboards, mailings, social media posts, and water cooler conversations are to be believed, apparently we are in an election season. The fact that we have a government that is elected by our citizenship is a remarkable thing. I don’t take that lightly and I wouldn’t change that even if I could. But there is an interesting aspect about how politics works in our country which isn’t often discussed, but which has a tremendous impact on those of us working to provide services to individuals with intellectual and developmental disabilities. In many ways, our system comes to a grinding halt every election season. I don’t mean that services stop getting delivered. Instead, I mean that any forward momentum from collaborations between service providers and the people who establish the rules and regulations governing those services just plain stops. It makes sense. Uncertainty takes over during these times. Politicians want to be careful to not make too many moves that may hurt them in the election. Department heads aren’t sure if they will have a job in the next few months. Those of us providing services aren’t sure how much time, energy, and resources we should commit to working with individuals and administrations that may or may not be there for the long haul. There is little incentive to do much of anything except to stay in a holding pattern. If our system of services was in a better place, that wouldn’t be a problem. Unfortunately, our system of services isn’t in a great place. There are many unanswered questions, many challenges which need to addressed. Sadly, the work to answer those questions and address those challenges slows way down during election season. Next week’s election results will determine who will chair, and who will be members of the Joint Budget Committee, who will be Governor, and who will sit on the various Legislative Committees. In each case, we at Imagine! have strategies in place to go back to work to support the citizens we serve. In addition, if a new Governor is elected, he will appoint Directors of each of the State Departments that regulate our services. For each new player, we will need to go to work to demonstrate, inform, and educate on what is working and what is not working in the service systems in their control. So we aren’t sitting still. However, it can feel a bit like we are taking two steps forward and one step back every time an election rolls around. We have to hurry up and then wait, and unfortunately, I’m not sure the people we serve are always in the position to wait. 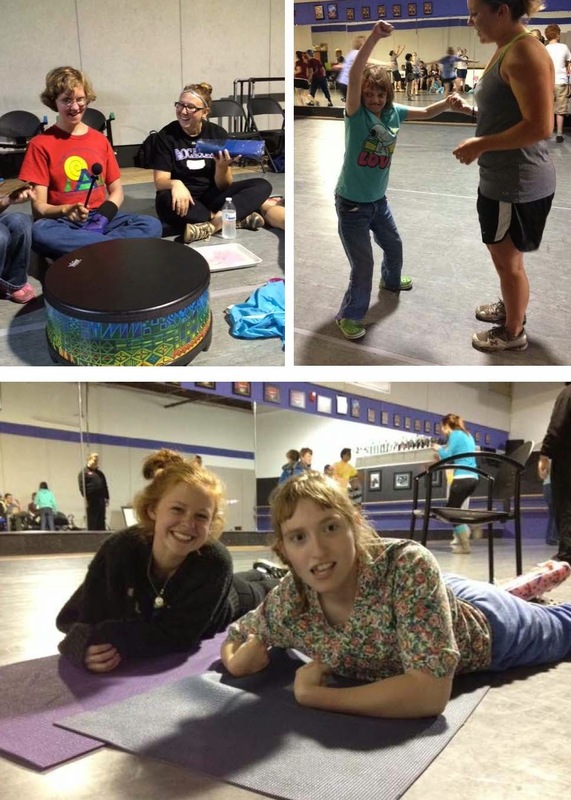 The Adaptive Orchestra, which meets weekly at Imagine! 's Boulder CLS site, focuses on teaching a variety of skills to the individuals it serves. Many of the skills taught are what you’d expect to find in any music class: theory, note recognition, group performance, musical expression, and so many more. 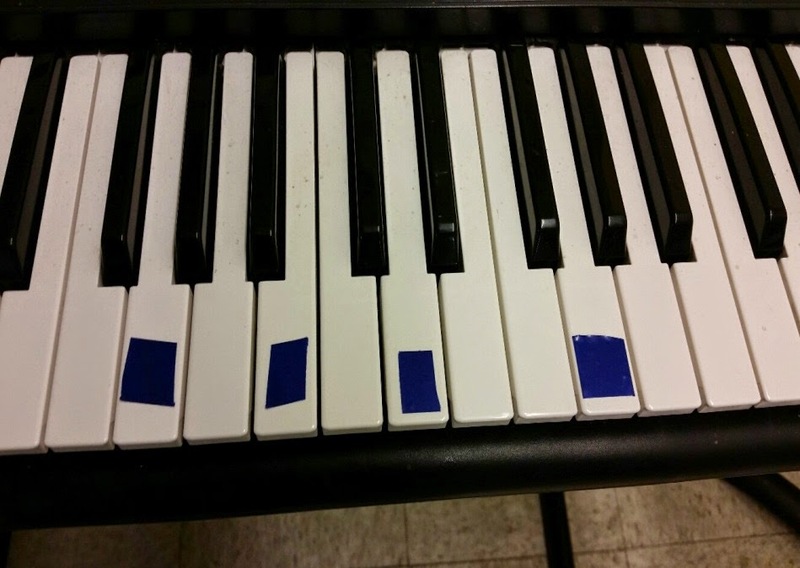 These skills can be taught any number of ways, as you can see by the simple adaptation featured below, used to teach specific keyboard keys that apply to specific scales. Additionally, and this is where I get excited, this class is always challenged to find new and creative ways to engage its students, as well as broadening areas of inclusion for everyone. This has led to a number of new tools, ranging anywhere from iPad apps that allow more individuals to play virtual instruments in an arrangement, to digital drum pads, to MIDI controllers, and more. The newest introduction to this inclusive tool kit now turns DynaVox communication devices into dynamic music monster machines! Shown below is a traditional MIDI Controller. These controllers allow participants to press any of the buttons you see pictured, and each button sends a unique signal that is associated with various musical notes (from a range of virtual instruments), in addition to other samples and loops. However, the necessity of physically pressing the buttons presents a challenge to many individuals, and may hinder individuals (especially those using a communication device) from participating. 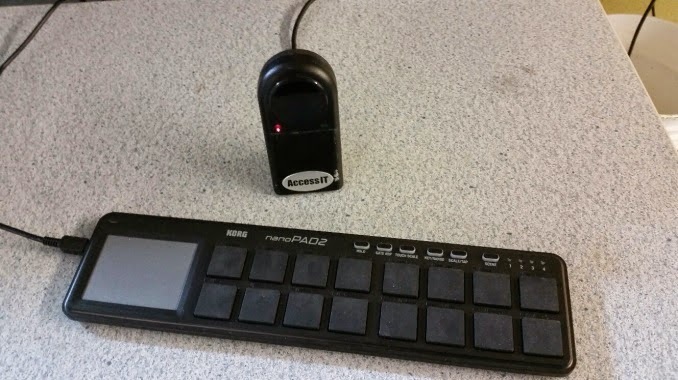 Now, by using the AccessIt interface pictured below, individuals are able to use their communication devices to mimic many of the same signals that a typical MIDI controller would transmit. The user page shown above is a basic page set to transmit ten different unique signals that are easy to use and easy to customize, thus taking inclusive music performance and composition to a whole new horizon. Stay tuned for video of footage of these sessions in action! Over this past year, I made a series of posts about Labor Source, the supported employment division of Imagine!’sCORE/Labor Source department, celebrating its 30th Anniversary this year. In each one of those posts, I made comments about the value that comes from hiring individuals with intellectual and developmental disabilities (I/DD) – value to the individual, value to the businesses, and value to the community. The Arc of Larimer County recently produced a video echoing those thoughts. In fact, if I’m being honest, they have said it a lot better than I ever did. So I thought I should share the video today. The video features a good friend of Imagine!, Bob Lawhead, CEO of Community Link, and has a lot of great information about why hiring people with I/DD truly benefits us all. Imagine!’s Out & About department was created in 1997 in response to the requests of community members with disabilities and family members who care for those with disabilities to have more options for community-based recreation services. That “community-based” element is key - rather than scheduling activities in a segregated setting, you will find Out & About participants (both adults and children) utilizing recreation centers, bowling alleys, movie theatres, museums, and even amusement parks. Today, I’d like to acknowledge the Bob Burger Recreation Center in Lafayette, CO, for its support of Out & About. Out & About classes use the Bob Burger Rec Center’s pool at least once a week during the school year as well as during the summer. Out & About has been going there for more than five years, and their desk staff and lifeguards are incredibly accommodating and patient with the participants. Thank you, Bob Burger Recreation Center, for your continued support of your community and all of its members.